Happy Fourth of July, the most traditional of America’s cookout day’s. While you may not be able to have the traditional burgers and hot dogs because of their high fat and sodium content (for the dogs anyway), you can find tasty cookout alternatives. 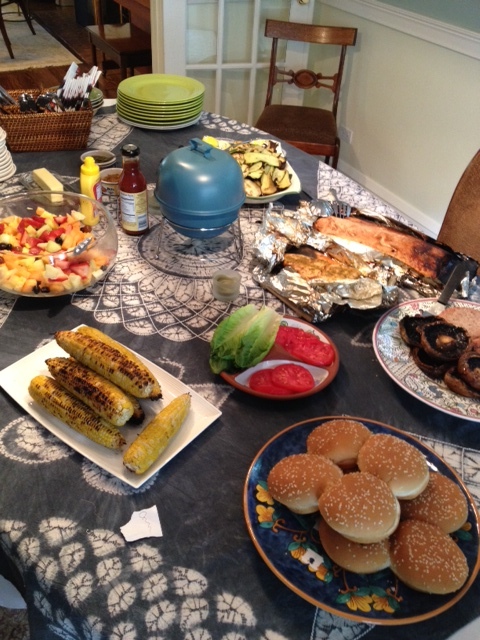 I recently had my first summer cookout for friends in the two years since my angioplasty. It has taken me that long to develop a new menu I feel comfortable serving people without feeling I’m depriving them of tasty cookout treats. Fourth of July party ideas, all low-fat, low-salt and low-sugar. The meal consisted of salmon with a salt-free teriyaki glaze grilled over a cedar plank for added flavor, grilled veggies that included zucchini and eggplant, and corn. A fruit salad complemented the main courses. I also made low-salt, low-fat turkey burgers (if you buy these pre-made, check the nutrition panels first, some are still loaded with salt and fat). If you want beef, find low-fat alternatives like the lean steak I recently blogged about, or 96% lean ground beef. And instead of high-sodium bread and buns, try a low- or no-sodium bread or go with lettuce wraps for your turkey burgers. 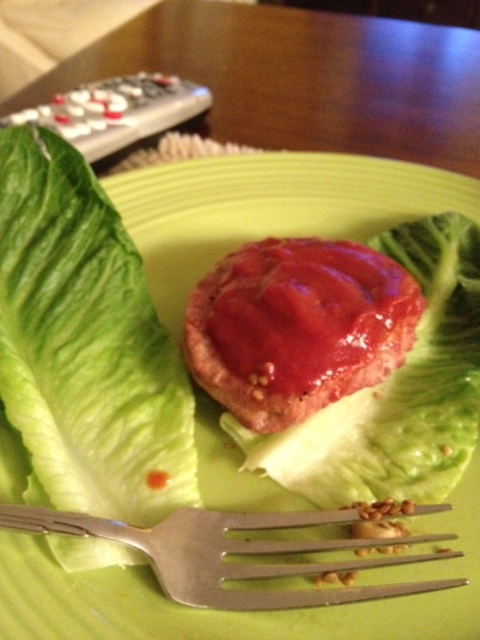 Turkey burger in a lettuce wrap with low-salt, low-sugar ketchup. All the best for a happy and safe holiday weekend everyone!